I’d never been to an all vegan restaurant until last week (I know, what’s wrong with me?) It’s not that I don’t have local options, Veg News declared Salt Lake City as “America’s Next Great Vegan City.” I don’t have any excuses for myself other than I just don’t go out to eat that often. That same article in Veg News states: [referring to Salt Lake City] “Today, there is a vegan grocery store, two vegan bakeries, two vegan food carts, four vegan restaurants, and 50 vegan friendly restaurants with specific vegan options on their menus.“ Radical. Sage’s Cafe offers an entirely plant-based menu and specializes in local and organic food, it is one of four totally vedged out locations owned by Utah native, Chef Ian Brandt/Elevated Cuisine Group. Want to know the best part? I met Annie from An Unrefined Vegan there for my belated birthday lunch (no applause please, it was last month). 😉 Photos of the lunch are courtesy of Annie’s Phone. I had the Guac-n-Roll Sandwich, which is an amazing nut burger, made with cashews, almonds and garbanzo beans served on a locally made seven grain baguette with guac. Everything about it was delicious. The baguette was perfectly toasted, the pesto had just the right verve and the nut burger was beautifully seasoned. It tasted a little like a milder and yummier version of falafel. The only thing left on my plate after a few minutes of bliss was a sliver of red onion. Did I mention the freedom I felt at being able to order anything on the menu? Totally awesome! 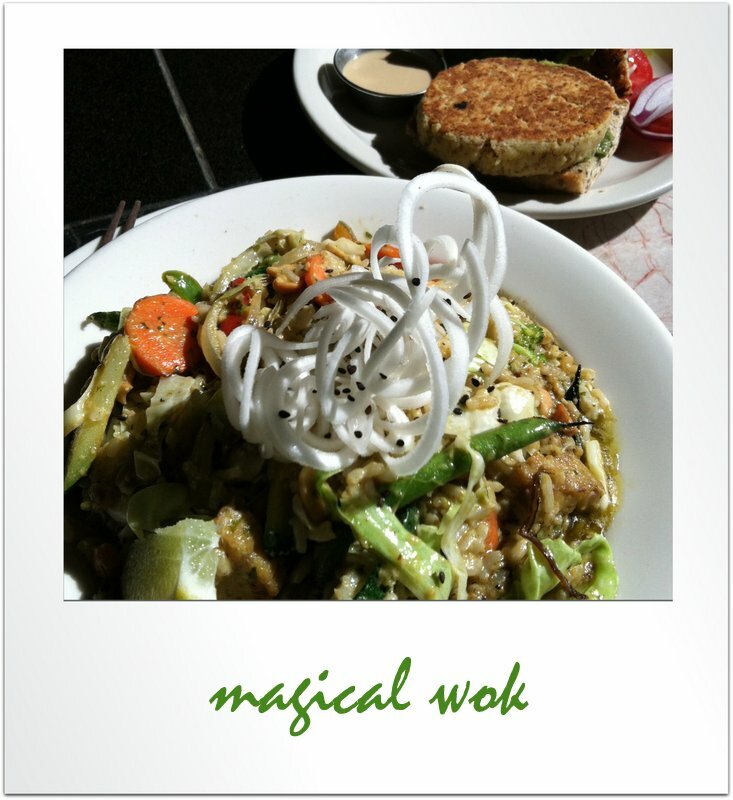 Annie had the Magical Wok Entrée, since we’re doing dual reviews today, head on over to her site to see what she thought about it. As you can see, from the photo below, it’s presentation was fantastic. We had a lot of catch up to do since we hadn’t seen each other for a while. We sat in the lovely sun room, where our waiter kindly kept refilling our drinks for over 2 hours while we dined and chatted. He must have noticed the giant bag full of awesome birthday gifts she had for me because when we declined dessert, he said he would offer a birthday dessert on the house. We asked for his suggestion and both said YES when he mentioned the tiramisu. Although I couldn’t detect even a hint of espresso, I have to say it was one of the most delicious tiramisu(s?) that I have ever eaten. If I wasn’t in a vegan joint, I would have never guessed this culinary confection was completely dairy free. In short, it was incredible. We finished every last bite and it was only out of politeness that I didn’t lick the plate. The food, the company and the warm ambiance of the sun room made for one of the best afternoons I’ve had in a while. My only complaint about Sage’s is that despite driving up and down the street multiple times, I couldn’t easily identify it from the road. I finally parked and walked and then texted Annie to guide me there beneath the grape vines. I will tell you that I went home feeling happy, light, refreshed and ready to conquer the world (usually when I leave a restaurant I feel bloated, tired and uncomfortable). While Annie and I aren’t eloping any time soon, there’s not a lot of time left to sign up for our baby (project), the Virtual Vegan Potluck. If you’ve wanted to join and haven’t done so, DO IT! There’s literally less than 5 slots 2 slots left. It closes when it reaches 100 participants. Oh, you’re still here and want to know what I got for my birthday loot? 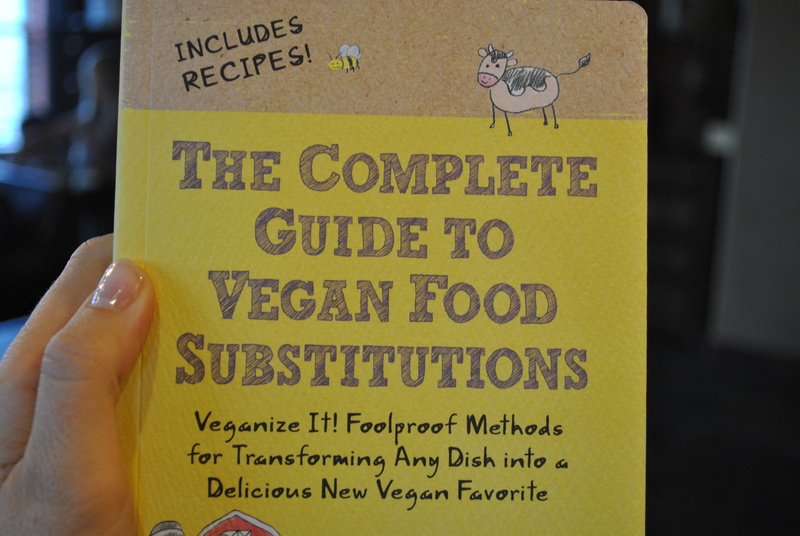 The Complete Guide to Vegan Food Substitutions, let’s just say upon returning home I couldn’t put this book down for several hours and have all ready made 4 things 6 things out of it since Friday. 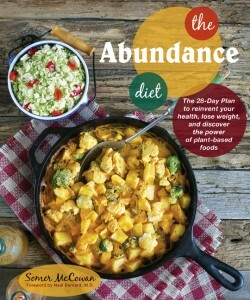 I really (really) wish I had this book when I first went vegan. It would have made my transition SO much easier. If you don’t own it, BUY IT RIGHT NOW! 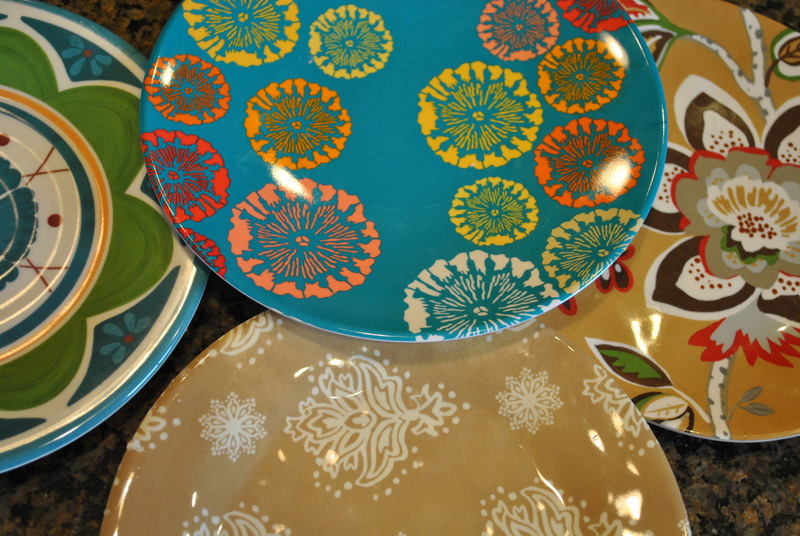 Blog Photo Plates – Annie knows my kids me so well, these babies are made of unbreakable melamine. 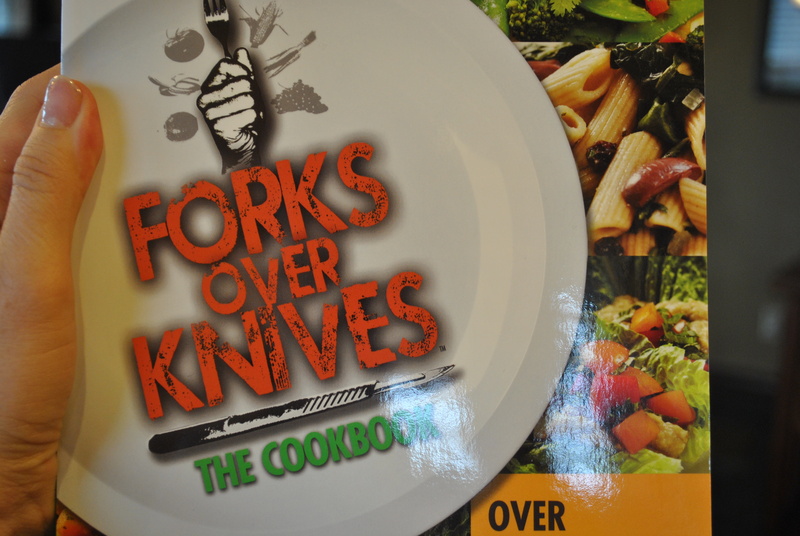 Forks Over Knives the Cookbook – Over 300 Recipes for Plant-Based Eating all Through the Year. The name says it all! In LOVE! Thank you so much Annie!!! xoxo! You can clearly see that going vegan changed my life. Have you watched Forks Over Knives? If you need help, I’m here to support you and have lots of resources (clearly it’s my passion right now and I want to help people). Let me know dude! Lunch anytime, girl! What veg restaurant is next?! Love yer guts ;-). Omar’s baby, then Vertical, then Supernatural, then the raw ice cream place…..
I’m clearing my schedule…And don’t forget a side trip to Cali’s Natural Foods Market! I’m going to need a part time job to pay for all of our galavanting! Some of them had a Target symbol on them! 🙂 LOVE Target! Such a fun day! I bet the excitement couldn’t be contained. I didn’t want it to end! Really loved having an afternoon with her. I’m more convinced that all vegan restaurants are the way to go. A couple of weeks ago I got food poisoning (I’m thinking salmonella cross contamination on a cutting board) at a normal restaurant where I ordered a salad. YUCK! Awesome! I know your take will be DELICIOUS! Wow! I am so glad to here that you ladies met at Sage’s Cafe and had such a memorable afternoon! Happy birthday! Thank you for the support! We look forward to serving you in the future! Thanks Ian! We’ll be back again and again! Look forward to visiting your other 3 locations as well! Wow, so many vegan options! I can only dream what it’s like to go to a restaurant and order without worry. I live in the southern Atlantic, so everything down here (almost) has pork in it somewhere, somehow. Bacon grease invades everything, so even side dishes are off limits at most restaurants. I watched Forks Over Knives yesterday! No wonder it’s having such an effect on people, the film presents some really great evidence. Brian, it was DIVINE! I feel really lucky and can’t believe I haven’t taken advantage of my proximity to these places before now. Something I plan to change! WOW! Glad you watched Forks Over Knives. Isn’t it amazing. So clear and concise. It’s hard to argue against a plant based diet after watching it. It even convinced my carnivore husband. Changed our lives! Food looks fantastic and so do the gifts. What an all vegan restaurant virgin. There are so few of you left. Ok, bring on the applause 😉 I wonder who on earth is copying my post. Likely some dirty ratbag! Teehee. In case you can’t tell from this post, can I tell you how much I adore Annie? This will definitely be a repeat! Awww – what a great looking lunch – and belated birthday! Congrats on eating at your first vegan establishment. May it be the beginning of a wonderful dining-out tradition for you… Hugs! Do you live in SLC or just outside of it? Here in Seattle there are SOO many vegan options. When I was in SLC this summer I was excited to try City Cakes. I think they’re my favorite vegan bakery! It’s so good! You need to go there if you haven’t already. Also head on over to Vertical Diner! They have a breakfast burrito that is awesome! I’m about 45 minutes from downtown SLC. City cakes sells their cupcakes at Whole Foods so I’ve had that treat! I haven’t been to vertical diner, but I totally plan too soon! An Unrefined Vegan just told me there’s a brand new began joint as well called Frisch. So fun!!! Happy birthday! 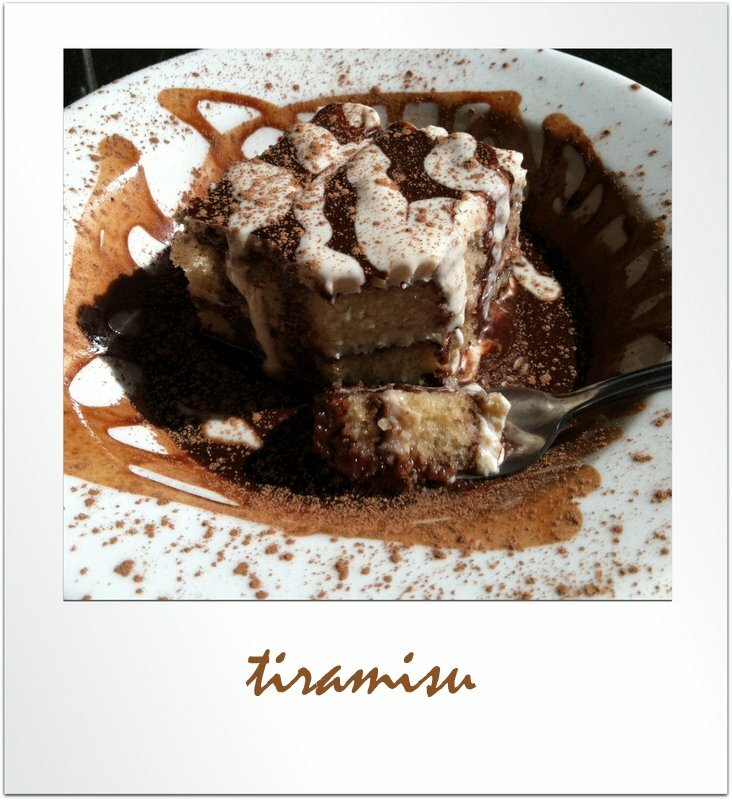 Looks like a great one…that tiramisu looks amazing. Also looks like you got some pretty cool books. I have been tempted to buy the “vegan substitutions” book. What a great friend Annie is – she gave you things that suit you perfectly. Looks like a great day and meal. It really was, now if only we could go to lunch too 🙂 ! Haha! Thanks. Isn’t it awesome when you get to meet blogging buddies in real life and they’re even more awesome than you anticipated?!? Love Annie. And thanks for the belated birthday wishes. Great post. Love the vegan food. The nut burger looks good and I always love a good nut burger. Maybe you can try and replicate it. Dessert looks fantastic too… Its funny that there are so many different vegan desserts out there that are so great I bet a few non-vegans would not pick that it is vegan.. Belated happy birthday too…. Great gifts too.. Shoot I just visited Salt Lake. Would have loved to go there. Next time! Shoot me an email next time you’re in town! We’ll have to do a blogger lunch there! your posts and your recipes are always very interesting! 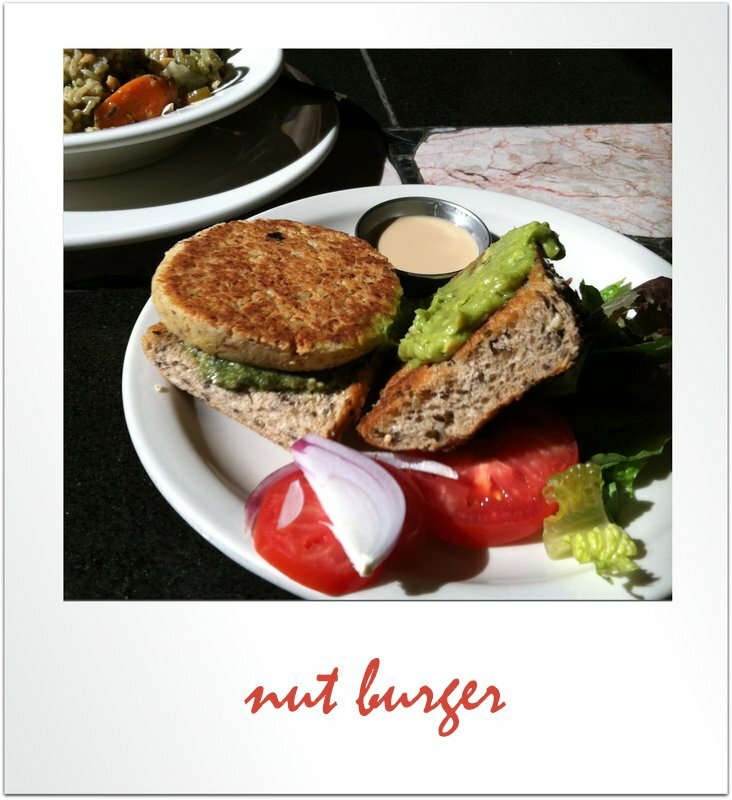 I just read Annies post before this one and am drooling over those nut burgers. It has me thinking about messing about this weekend and trying to recreate something similar. My long suffering meaty man would even eat these babies! Love the look of that tiramisu but would have to add coffee to the mix somehow. I love those plates! Your kids are going to love eating anything on them now…no problem eaters any more, just kids that want to get to the bottom of their meal and check out those amazing designs 🙂 I am going to buy the Complete Guide to Vegan Food Substitutions…what a great book! I agree about wishing that I had it when I first started out (15 years ago). It would have made life a whole lot easier (and I might not have initially turned orange from eating so much pumpkin and carrots lol ;)). I am SO envious of you both for being able to just head out and eat vegan in a restaurant (even if you don’t choose to, you have the option). We are so limited here in Tasmania…might have to start my own restaurant! 😉 First thing on the menu is that tiramisu! yes Fran! You ought to start your own gig! Maybe it’d really take off! I’ll come and have some of your tiramisu! Get the book, you’ll absolutely adore it! That’s the spirit! They’d love vegan donuts! Happy Belated Birthday – what a great find….anytime I go to an all vegan restaurant I get a bit overwhelmed with the choices, I have to research the menu first before I even go to narrow it down then it still takes me forever! Thank you so much Heather! I have a radar when it comes to something good on the menu, for some reason I almost always choose exactly the right thing. It is certainly harder with a veg restaurant though, everything looks good! Oh girl, it was sooooo good! Hey! I just found your blog and love it! So nice to find other vegans in the great state of Utah! I recently took my family to Vertical Diner in Salt Lake and it was so delicious! Amazing to find vegan diner food. What a treat!